Home / Events / Double Feature: "Sunrise" and "The Last Laugh"
Double Feature: "Sunrise" and "The Last Laugh"
F.W. Murnau is represented by two films that are considered among the masterpieces of silent cinema. Friday, December 5 | 7:30 p.m. In this lyrical parable of betrayal and redemption, George O’Brien and Janet Gaynor (in one of the three performances that won her the first Best Actress Oscar) play a rural couple who embark on a fateful trip to the big city. Subtitled “A Song of Two Humans,” F.W. Murnau’s epic romance is one of the undying classics of American cinema and won the only Oscar given for Unique and Artistic Picture (at the first Academy Awards). Brought to Hollywood by William Fox, Murnau applied the deep resources of a major Hollywood studio to create a pioneering film of psychological realism and visual audacity. With its graceful camera movements, awe-inspiring sets, symphonic structure and soulful performances, Sunrise represents the apex of silent cinema. 1927, 95 minutes, black and white, 35mm | Directed by F.W. Murnau; written by Carl Mayer, story by Herman Sudermann, titles by Katherine Hilliker and H.H. Caldwell; with George O’Brien, Janet Gaynor, Margaret Livingston, Bodil Rosing, J. Farrell MacDonald, Ralph Sipperly. Friday, December 5 | 9:15 p.m. The film that brought Murnau to Hollywood, The Last Laugh is one of the most visually ambitious motion pictures in silent cinema, telling its emotional and ironic tale with only one title card. 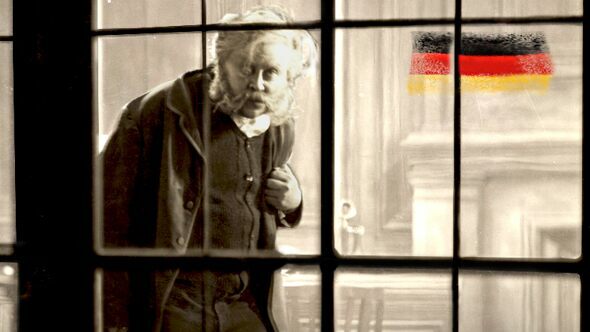 Emil Jannings, who would soon after become the first Best Actor Oscar winner, plays the doorman for a grand hotel. His post and his ornate uniform are his pride and joy, and when he's demoted to washroom attendant due to his advancing age, his life goes on a downward spiral. The dazzling camerawork plumbs the depths of his journey from pomposity to despair and lends cinematic verve to this modern tragedy. Featuring live musical accompaniment by Michael Mortilla. 1924, 90 minutes, black and white, 35mm | Directed by F.W. Murnau; written by Carl Mayer; with Emil Jannings, Maly Delschaft, Max Hiller, Emilie Kurz, Hans Unterkircher, Olaf Storm.